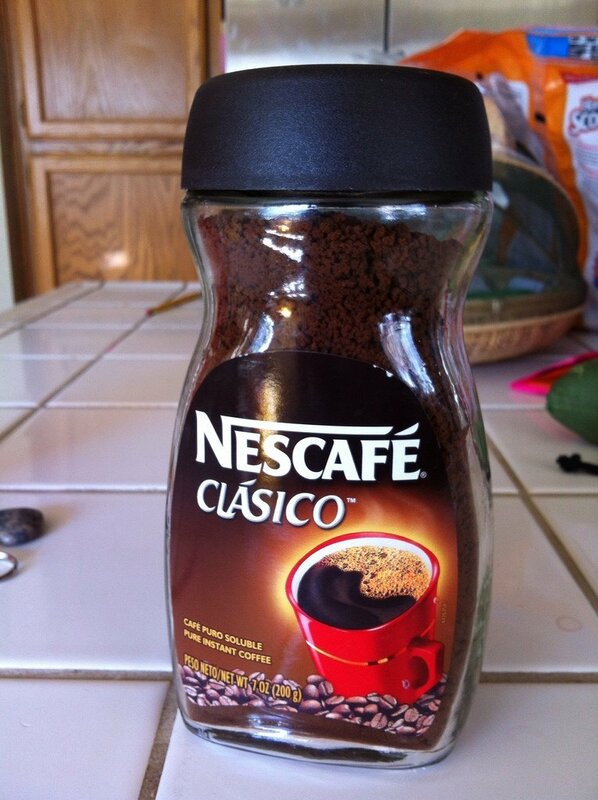 Instant coffee has been widely used for decades now, due to its rapid ease of creation. During the height of its popularity in the 1970s, almost one-third of all the coffee imported into the United States was turned into an instant product. The sales during the 1970s amounted to close to 200 million pounds of the product. Today, about 15 percent of the coffee consumed in the United States is prepared by mixing instant granules with hot water, a big drop from the level it used to be! Let’s take a look at the rich history and raw materials that go into the making of rich-tasting instant coffee. The earliest documented record of instant coffee goes back to 1771 in Britain. The first American instant coffee product was developed in the 1853 and field tested during the Civil War! It was only in 1901 that the first stable product instant coffee powder was created by Sartori Kato, a Japanese man who also happened to be the inventor of instant tea. Five years later, George Constant Washington, a British chemist living in Guatemala, developed the first commercially successful process for making instant coffee. Washington’s invention, marketed as “Red E Coffee,” dominated the instant coffee market in the United States for 30 years, beginning around 1910. During the 1930s, the Brazilian coffee industry encouraged research into instant coffee as a way of preserving their excess coffee production. The Nestlé company also worked on this effort and began manufacturing Nescafé in 1938, using a process of co-drying coffee extract, along with an equal amount of soluble carbohydrate. Instant coffee was enormously popular with American soldiers during World War II; in one year, the entirety of production from the U.S. Nescafé plant (more than one million cases) went solely to the military. 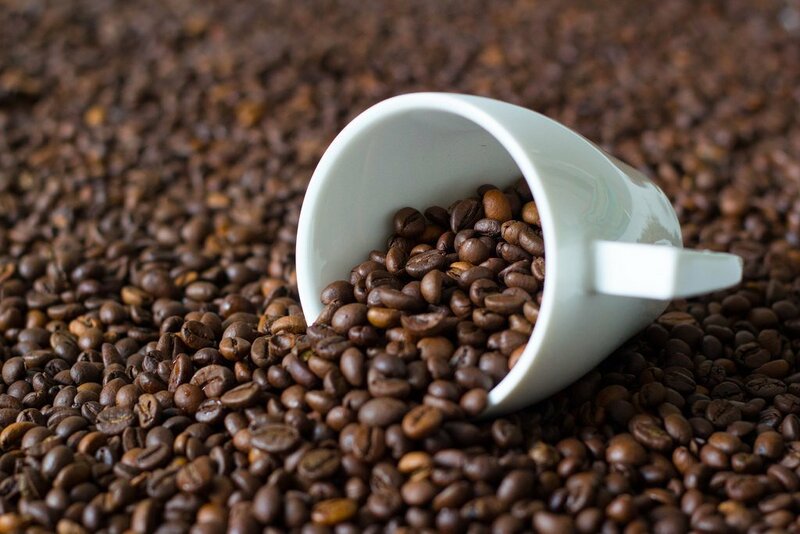 In terms of the raw materials, there are primarily two kinds of coffee that dominate the fifty known types of coffee—Coffee Arabica and Coffee Robusta. Coffee Arabica can primarily be found in Latin America, India and Indonesia. Coffee Arabica is mild in flavor and expensive, as each coffee cherry must be handpicked and be carefully chosen based on how ripe it is. Coffee Robusta is grown primarily in Africa, India and Indonesia. Coffee Robusta has a harsher flavor and is cheaper because the beans can be harvested regardless of their ripeness level. Because of their competitive pricing, Robusta coffee is more preferred for the making of instant coffee. Roasting at temperatures above 180°C drives the moisture out of coffee beans. Beans destined for use in instant products are roasted in the same way as beans destined for home brewing, although the moisture content may be left slightly higher by about 7-10%. The beans are then ground coarsely to minimize fine particles that could impede the flow of water through an industrial brewing system. The manufacture of instant coffee begins with brewing coffee in highly efficient extraction equipment. Softened water is passed through a series of five to eight columns of ground coffee beans. The water first passes through several “hot” cells, which are at a temperature 140-180°C, some of which operate at higher-than-atmospheric pressure, for the extraction of difficult components like carbohydrates. It then passes through two or more “cold” cells, which are at a temperature of 100°C, for the extraction of the more flavorful elements. The extract is passed through a heat exchanger to cool it to about (5°C). By the end of this cycle, the coffee extract contains 20-30% solids. After a filtering step, the brewed coffee is treated in one of several ways to increase its concentration. The goal is to create an extract that is approximately 40% solids. In some cases, the liquid is processed in a centrifuge to separate the lighter water from the heavier coffee extract. Another technique consists of removing the water by evaporation before cooling the hot, brewed extract. A third alternative is to cool the extract enough to freeze water, and then mechanically separate the ice crystals from the coffee concentrate. Part of the enjoyment of making and drinking coffee is the beautiful aroma that accompanies it. During the various steps of the manufacturing process, volatile aromatic elements are lost; they must be returned in a later step to produce an attractive instant coffee product. Aromatics can be recovered during several stages of the manufacturing process. For instance, gases released during the roasting and grinding processes can be collected. Ground, roasted coffee can be heated to release additional aromatic gases. Passing steam or appropriate solvents through a bed of ground, roasted coffee can strip and capture aromatic components. Aromatic oils can be expressed from spent coffee grounds by exerting a pressure of at least 2,000 lb per sq in (14,000 kPa). Gases can also be distilled from coffee extract after the brewing process is complete. Cooled, clarified liquid concentrate is sprayed through a nozzle at the top of a drying tower, which is at least 23 m tall. Air that has been heated to about 250°C is blown downward through the mist to evaporate the water. The air is diverted out of the tower near the bottom, and then filtered to remove fine particles, which can be recirculated back through the tower or reintroduced during the agglomeration step. The dry coffee powder collects at the bottom of the tower before being discharged for further processing. The resulting powder contains 2-4% moisture and consists of free-flowing, non-dusty particles. Spray drying may be followed by a step to turn the powder into coarser particles that will dissolve more completely in the consumer’s cup. 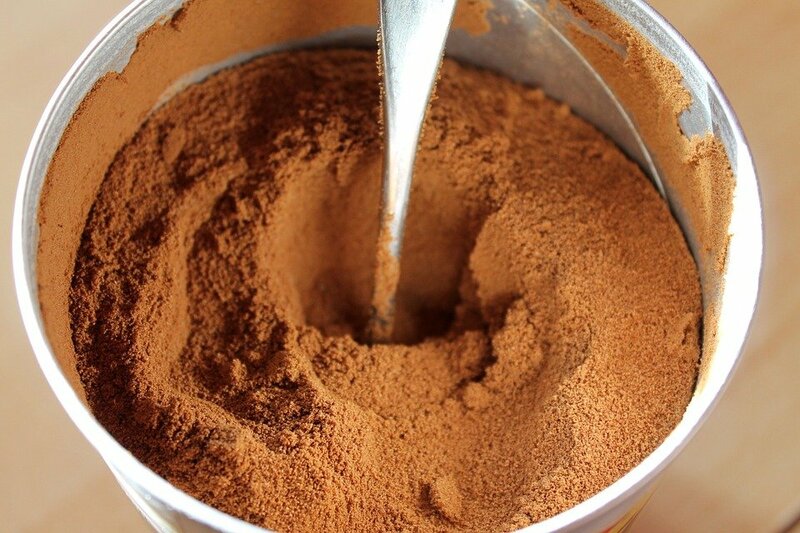 The agglomeration process of Instant Coffee involves rewetting the surfaces of the coffee powder particles and bringing the particles into contact so they will adhere to each other and form larger, more granular particles. This is accomplished by exposing the powder to steam or a fine mist while tumbling it in the air. Freeze drying may also be used instead of spray drying. The process involves four steps, beginning with “primary freezing.” Coffee extract is chilled to a slushy consistency at about 6°C. The pre-chilled mud is then placed on a steel belt, tray, or drum and further cooled in a series of steps until it reaches a temperature of -45°C. 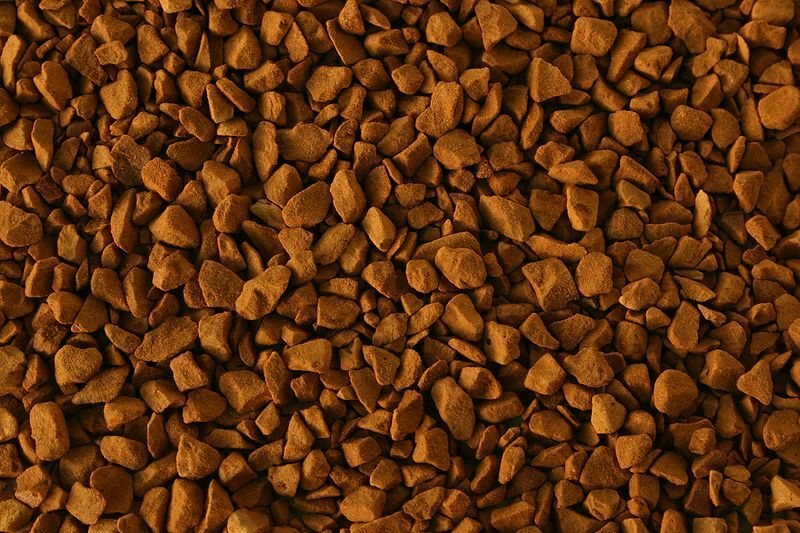 Quick cooling processes (taking 30-120 seconds) result in smaller, lighter-colored products, while slower processes (taking 10-180 minutes) generate larger, darker granules. The slabs of ice are broken into pieces and ground into particles of the proper size for the drying step. The particles are sieved to ensure appropriate sizing; those that are too small are melted and returned to the primary freezing stage. The frozen particles are sent into a drying chamber where, under proper conditions of heat and pressure, the ice vaporizes and is removed. Volatile aromas that have been recovered from earlier steps in the manufacturing process are sprayed on the dry coffee particles. This may be done during the packaging operation. 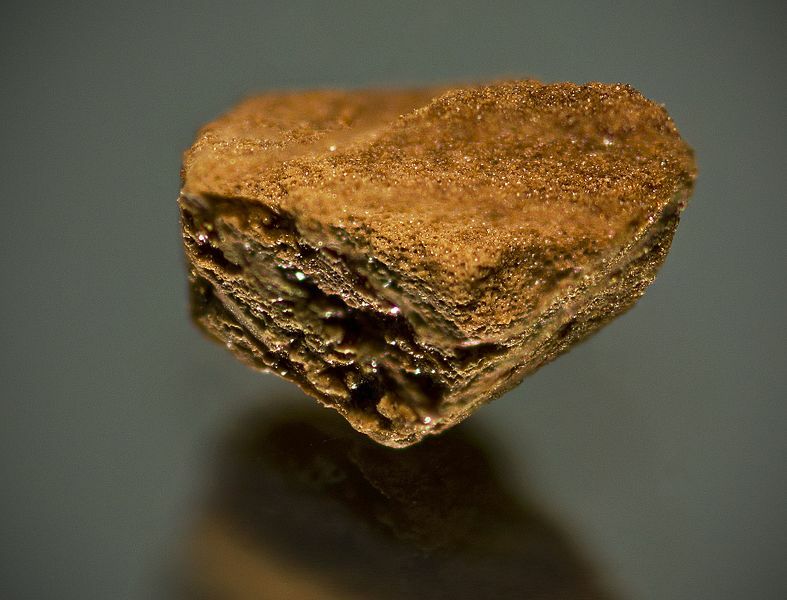 Instant coffee particles are hygroscopic—that is, they absorb moisture from the air. Consequently, they must be packaged under low humidity conditions in a moisture-proof container to keep the product dry until it is purchased and opened by the consumer. Also, to prevent any loss of aroma and flavor, the product is packaged in a low-oxygen atmosphere (usually carbon dioxide or nitrogen). Now, the next time a delicious cup of instant coffee tantalizes your taste buds, you’ll know what it took to get that brew into your cup!